Global Connections with Ambassador of Italy, H.E. Armando Varricchio — NEW ENGLAND AIRFOIL PRODUCTS, Inc. 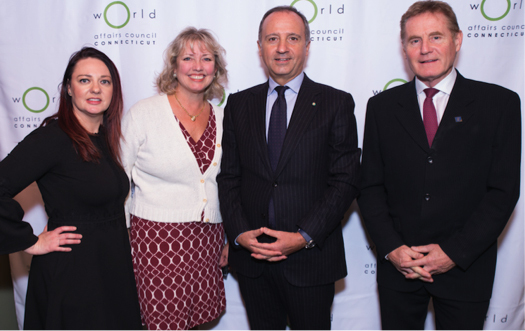 The World Affairs Council of Connecticut hosted His Excellency Armando Varricchio, Ambassador of Italy to the United States for a Global Connections Luncheon and discussion exploring the strength of the Italy-U.S. strategic relationship. New England Airfoil Products Inc, being part of the Pietro Rosa TBM Group were fortunate to be kindly invited to the event. This served to further strengthen the ties with the organization and gain more understanding of the challenges and uncertainty facing the European Union, and the critical role that Italy plays in the region and in the world. The event underlined and re-enforced the strategic criticality of the Companies New England operation as we head towards the new decade. Founded in 1924, the Council is part of the World Affairs Councils of America, the largest international affairs non-profit, nonpartisan organization in the United States. “Our programs provide opportunities for communities to deeply engage in global issues. 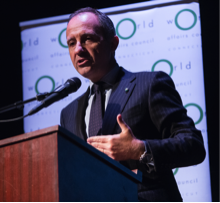 Events such as this Connections Luncheon create further understanding and are critical for navigating the global world in which we all live. It was our pleasure to host Ambassador Varricchio. The insight he provided in understand the role the EU plays in the global economy was important for all to hear. With our state’s strong ties to Italy, the bilateral relationship directly impacts our community here in Connecticut.